Peter is in his final year towards a Science Advanced - Research degree with majors in physics and chemistry. As an avid supporter of undergraduate research, Peter has undertaken multiple research projects and presented research at ICUR 2015, 2016 and 2017. 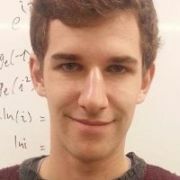 Aspiring to be a researcher, Peter is seeking experience in all parts of academia, including the publication of peer reviewed journals, bringing him to the Reinvention team, where he hopes to learn about areas outside of his studies. 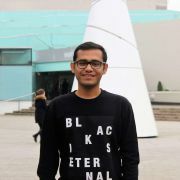 Vardaan is a current undergraduate student in Economics, Politics and International Studies at the University of Warwick. He has a strong interest in anti-opression resistance movements, queer theory and queer history. In addition to his Reinvention role and undergraduate studies he is the current Politics and Economics editor at the Warwick Globalist. 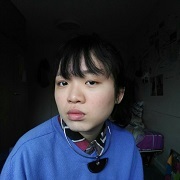 Kia Yee is a Singapore Chinese undergraduate of the University of Warwick. She is currently in the penultimate year of her BA English Literature and Creative Writing degree. Her current interests include ecocriticism, madness, Asian diasporas and identities, gender studies, psychoanalysis, performance studies (in particular the mundane as spectacle, the body as a site for revolt), and the philosophical implications of quantum mechanics. She is deeply passionate about finding purpose and fulfilment, and hopes that she will help nurture curious minds as an Assistant Editor of this journal. Sofia is in her fifth year studying a Bachelor of Laws and a Bachelor of Arts majoring in History at Monash University and is currently involved in legal research projects. Having been part of the Global Leadership and Advanced Research Program at Monash and participating as an MC for ICUR in 2017, Sofia has developed a keen interest in research. She hopes to expand her experience of interdisciplinary research during her time with the Reinvention team. 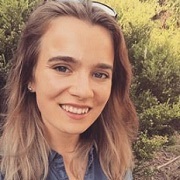 Hannah is in her third year of a Bachelor of Arts (History and Human Rights) and Diploma of Spanish and Latin American Studies at Monash University. In 2018 she will share her time between the University of Liverpool, where she is an exchange student, and her home in Melbourne. Hannah is passionate about bringing undergraduate students across the world into closer dialogue with one another and academics in their fields. While her own research interests remain broad, she particularly enjoys writing feminist and women’s histories. Gianna is currently an Honours candidate at Monash University in the field of Medieval European History. She completed a Bachelor of Arts at Monash in 2017 with a major in History and a double minor in German and Italian. Gianna has participated in the Global Leadership and Advanced Research Program at Monash where she was granted funding for research and as an MC during the International Conference of Undergraduate Research. She is looking forward expanding her interests in interdisciplinary research throughout her work with Reinvention. 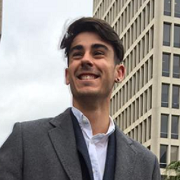 Daniel is currently in his 3rd year of studying a Bachelor of Science, pursuing an extended major in Geosciences. His broad research interests include planetary geology and understanding the biogeochemical origins of life on Earth, and the potential to find evidence of life on other terrestrial planets, like Mars. In addition to his role at Reinvention, Daniel is also the science team leader for the Nova Rover team, constructing the next generation of Mars rovers to compete at the University Rover Challenge, an international competition held annually at the Mars desert research station in Utah. If successful, they will be Australia’s first team to compete. 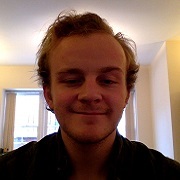 Alex is a second-year History student at the University of Warwick. Of particular interest to him is global history as well as the history of ideas. He will spend the first term of his final year studying in Venice the history of Renaissance Venice and Florence. After looking at some past issues of Reinvention he became keen to participate in the publication of high-quality undergraduate research. Further attraction lay in the possibility presented by working for Reinvention of connecting with students across the globe. 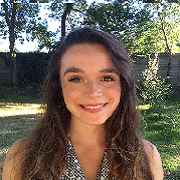 Connie is a Second year English Literature and Comparative studies student at the University of Warwick. She is particularly interested in 20th Century, ‘Modern’ Literature and how social/political movements in history have shaped texts in their application to reality. 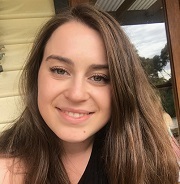 ‘Reinvention’s’ focus on creating a link with the Monash University interests her at this time, particularly as she is applying to do a year abroad in Paris at the Sorbonne and can see the multi-cultural environment of both institutions supports the development of a global community of undergraduate writers.